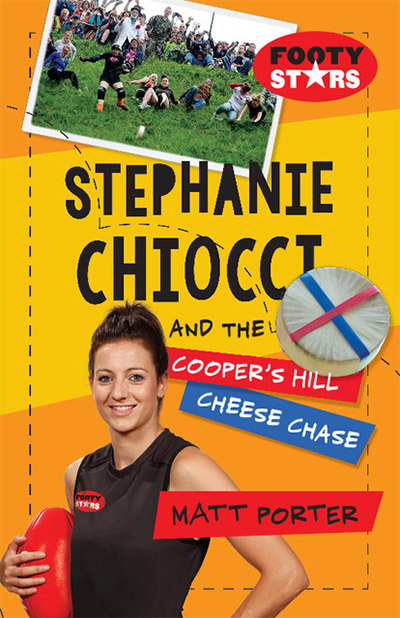 Stephanie Chiocci and the Cooper’s Hill Cheese Chase is a hilarious adventure featuring the mighty Collingwood AFLW captain Stephanie Chiocci. Stephanie must call upon her elite football abilities to save her number one fan’s family cheese-making business. Readers will be enthralled as she competes in the world famous Gloucester Cheese-Rolling Race and speeds down a hill steeper than the MCG grandstand. More importantly she helps a fan and ensures a bully gets his comeuppance.